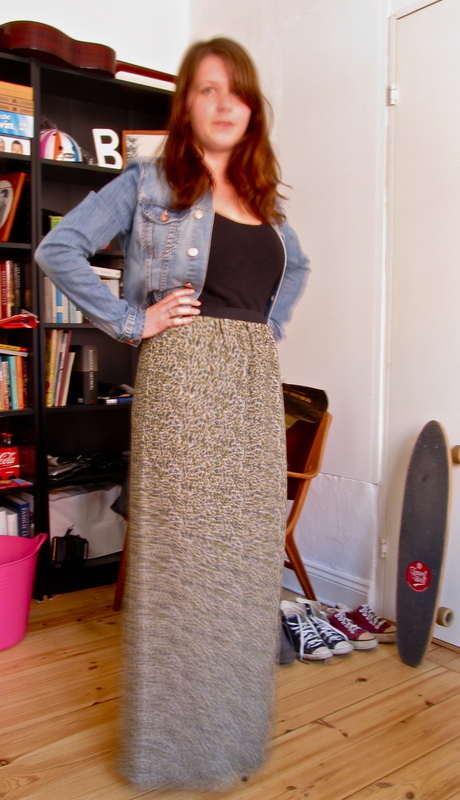 I’m someone who has taken a bit of time to jump on the maxi bandwagon. At the start it was because I didn’t like the whole long skirt thing since all of my dresses and skirts are above the knee. After I began to consider my shape a little more, I thought the length would make me look short. But I have bitten the figurative maxi bullet and made a very simple one with an elasticated waist. It took all of an hour to make, after hours more of fluffing around and procrastinating about what type to make of course, but what sort of procrastinator would I be if I made things with out fluffing around first? Ta dah! With the new denim jacket. 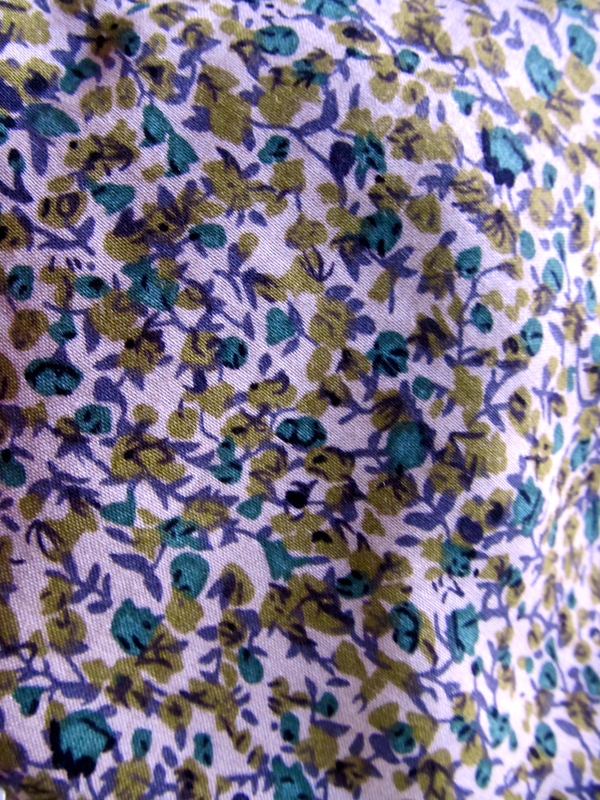 I had some cotton viscose on hand in a green floral which I thought would go perfectly with my new denim jacket, mentioned here, which I caved and bought from H&M. The soft and cool feel of the fabric will also be great for summer. 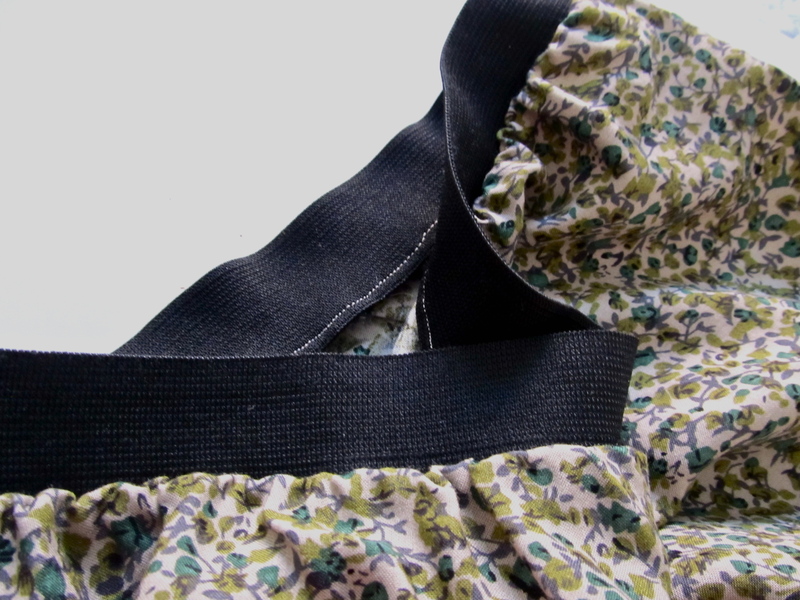 I used 5cm wide elastic for the top band and around 1.10m of fabric. 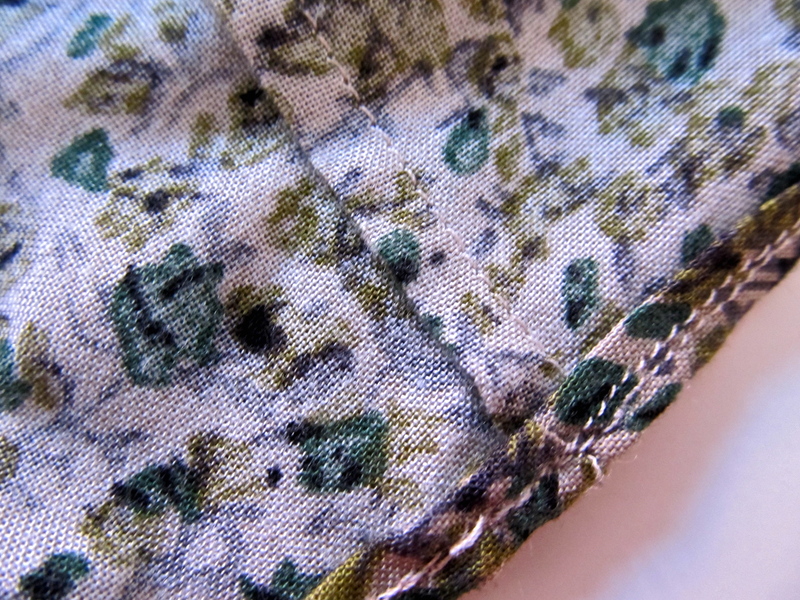 Since I don’t like zigzagging and this fabric frays A LOT, all the seams are french seams and the hem is a rolled hem. I’m really beginning to like these two techniques as they give such a clean finish. No stray threads hanging around the place and no need to buy an overlocker! I don’t like too much gathering around the waist as it just makes me look like I have a pot belly and like my hips have a mind of their own, which a lot of the time they do, but there is no need to encourage them. Instead of using the waist measurement for the waist of the skirt, I used the one for my hips + ease so I would be able to pull the skirt on and off with the elasticated waist. I had seen a lot of other posts where the waist measurement was doubled to have the gathered look but I think that would have been far too much and I’m glad I did it this way. Next on the agenda is making basic blocks, which I have been inspired to do by Liz over at agoodwardrobe with her post on her skirt sloper as well as her links to drawing a basic bodice block. I think having something to fit off that I know fits me well, will be really helpful in the long run. You are currently reading To the Maxi at A La Amelia.